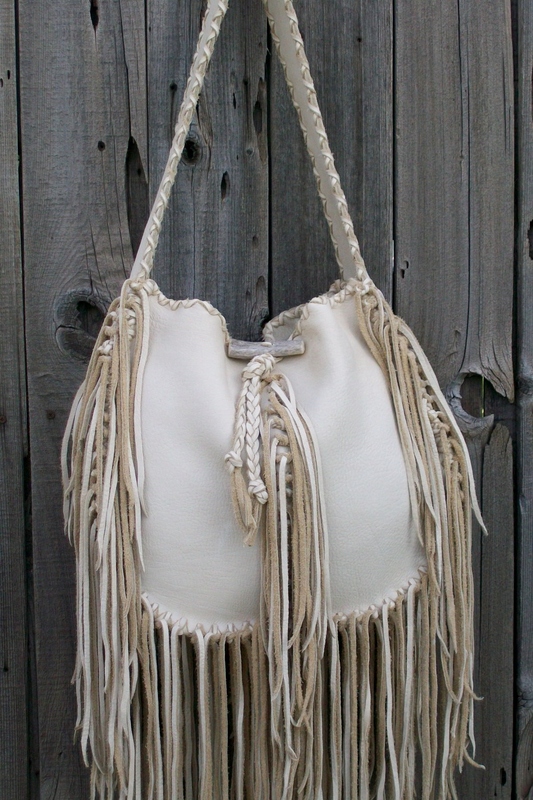 We have a really fantastic fringed hobo tote that is here and ready to be yours. The cream (off white) elkskin leather is soft and durable . 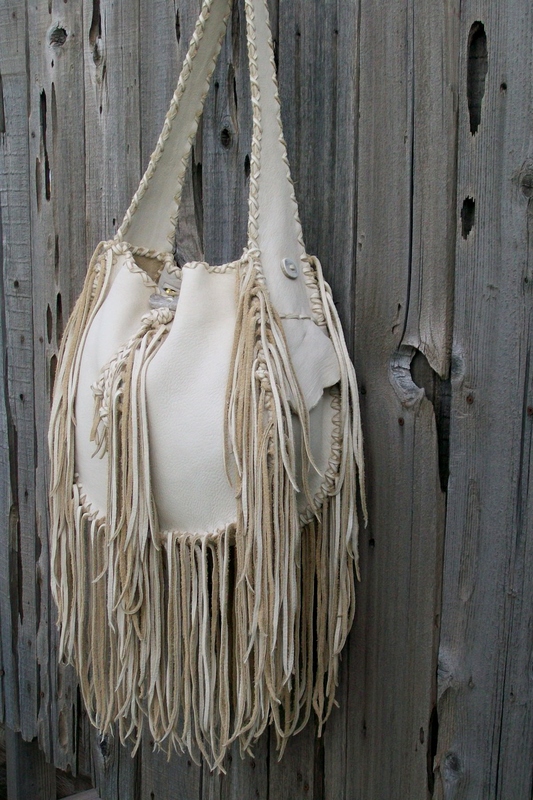 This bag is for a free spirit that is not worried about making a statement. It has fringe all around , down the middle and down the middle of the back. It is all handstitched one stitch at a time. 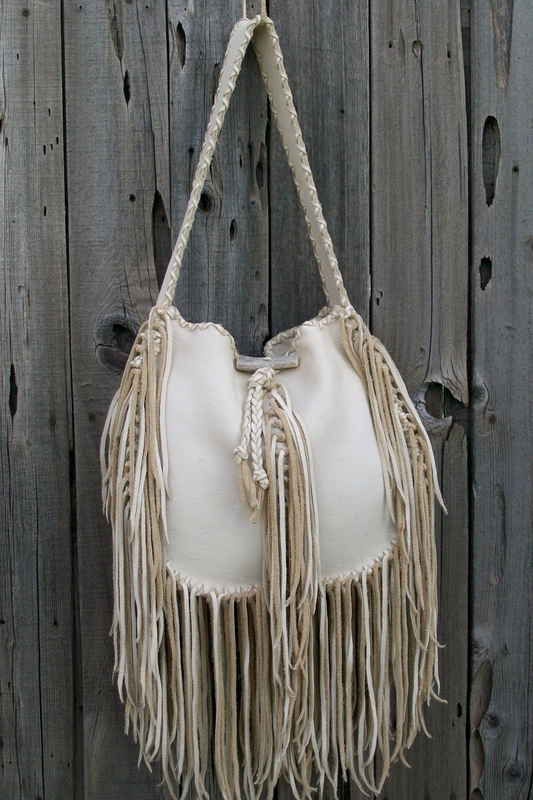 This hobo handbag measures 13″ tall, 15″ wide and 6″ deep, features an extra pocket inside, a comfortable 29 inch flat strap and lots of fringe. It would make a great carry on bag when traveling or a great everyday bag. 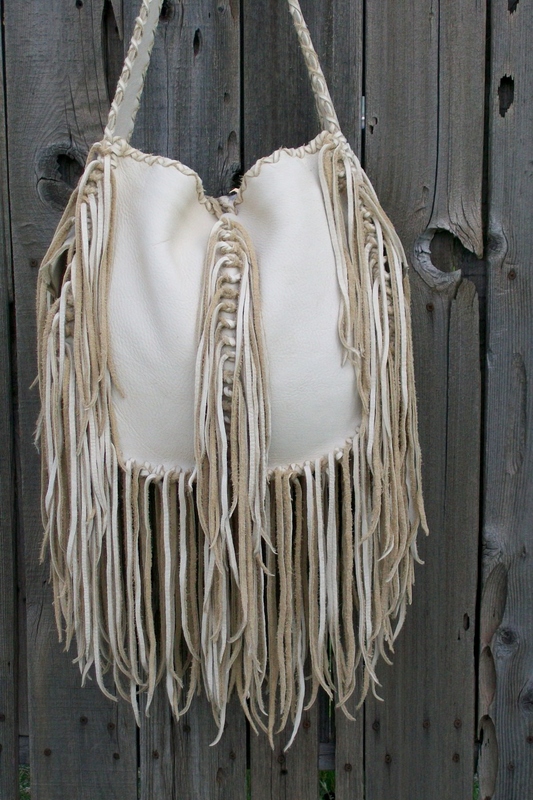 This is a side view of this beautiful fringed purse / tote . As you can see in the picture it has antler buttons on the sides that make the strap beautiful. This tote is ready to ship. If you are interested you can find it here.